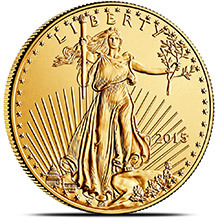 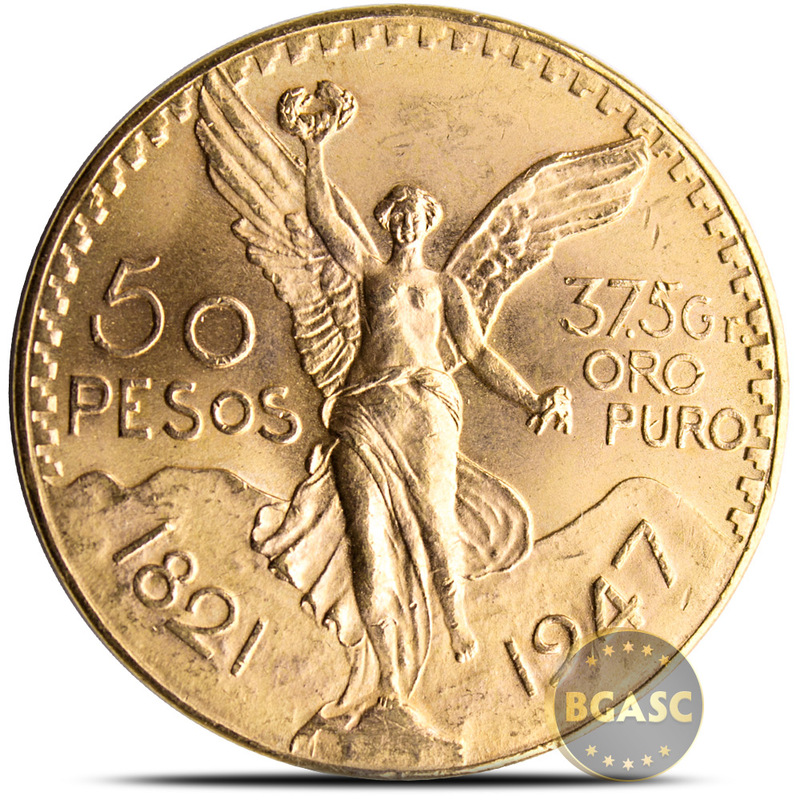 The Mexico 50 Peso Gold Coin is a large Mexican gold bullion coin also known as "The Centenario". 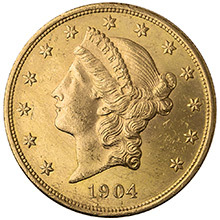 The Centenario was first minted in 1921 to commemorate the 100th year anniversary of Mexico's independence from Spain and was never actually intended to be used as currency (the 50 pesos face value is for legal purposes only, and does not relate to the actual value of the gold content). 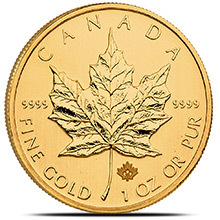 The Centenario contains 37.5 grams (1.2057 troy ounces) of gold in an alloy of 90% gold and 10% copper, and is 37mm in diameter. This 50 Peso gold coin was minted from 1921-1931 and then again from 1944-1947. 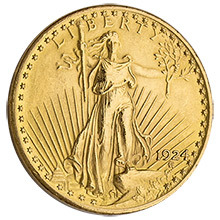 Restrikes minted from 1949-1972 are dated 1947. 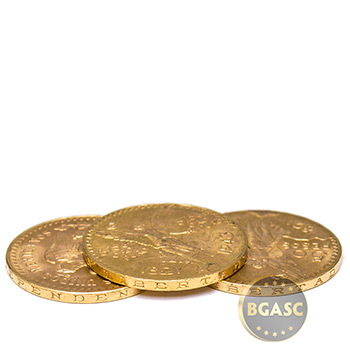 When you buy these Mexican Gold Coins, dates will be selected at random from available inventory. 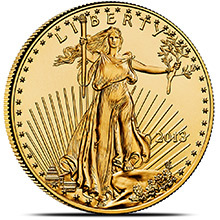 Designed by Emilio del Moral, the obverse of the Centenario features the powerful image of Winged Victory (El Ángel, El Ángel de la Independencia: "The Angel of Independence"), with a laurel wreath in her raised right hand and broken chains in her left, a design that would later be used in the Mexican Libertad Series of gold and silver bullion coins. 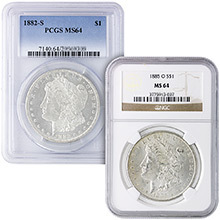 In the background appears two famous Mexican volcanoes, Popocatepetl and Iztaccíhuatl. 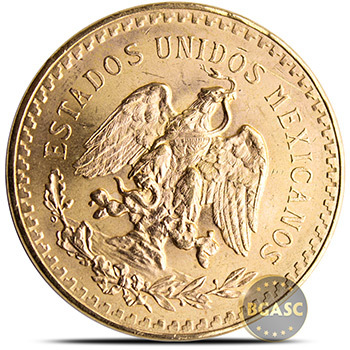 The date of 1821 in the lower left commemorates the year of Mexico's independence and the date stamped on the right indicates the year of the coin's mintage (although coins minted between 1949 and 1972 are usually marked "1947"). The 1943 mintage is somewhat special because of the double "37.5 Gr Oro Puro" markings, leaving out the "50 pesos" legend, but maintains the same diameter of 37mm. The reverse of the Mexican 50 Peso Gold Coin depicts the coat of arms of Mexico, featuring the Golden eagle perched on a cactus with a serpent (rattlesnake) in its beak. 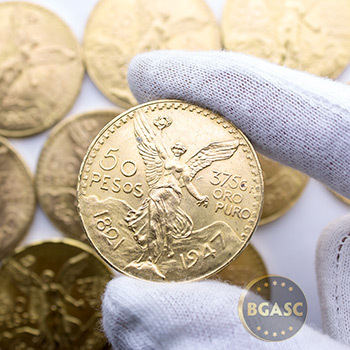 One of the most striking features of this beautiful gold Centenario coin is the inscription of "INDEPENDENCIA Y LIBERTAD" (English: Independence And Liberty) around the coin's outside edge. 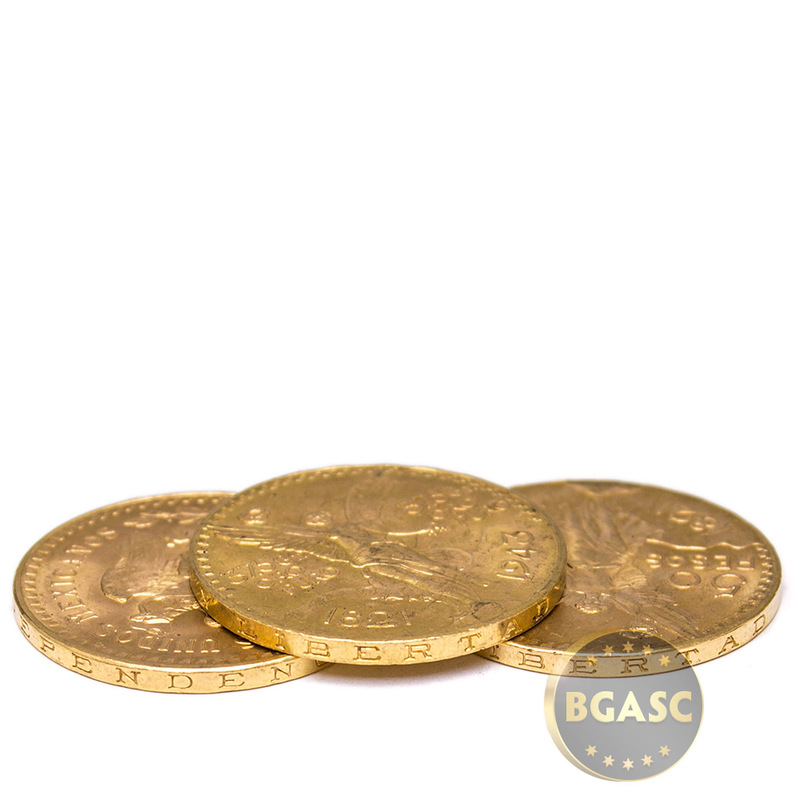 These 50 Peso Gold coins ship in individual coin flips. 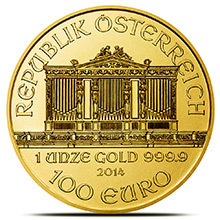 Quantities of 20 coins will ship in CoinSafe Coin tubes. 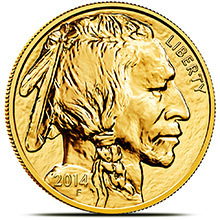 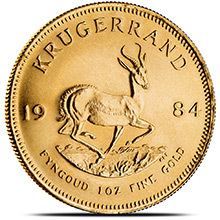 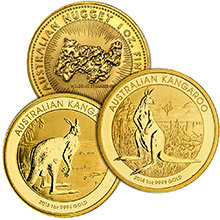 If you have any questions about this coin or the purchasing process, call us toll free or send an email to customer service and one of our friendly representatives will be happy to assist you.